Comic Potential by Tony winner Alan Ayckbourn is set in a TV studio in the foreseeable future, when low-cost androids have largely replaced actors. The play was Ayckbourn's second exploration into science fiction, the first being Henceforward ... This play originated from the idea that the ability to laugh and the ability to fall in love are both characteristics that differentiate humans from androids, as both are illogical from an objective viewpoint, thus raising the question as to whether either of the actions in an android would be considered a malfunction. The comedy also explores the Pygmalion syndrome and competing desires for autonomy and certainty. 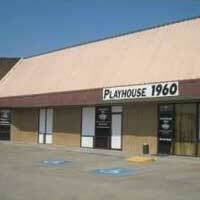 See it at Playhouse 1960 in Houston.